A home inspection is an objective evaluation of all of the visible and accessible components and systems of a home. Home inspection services may also include other testing and inspections that are commonly associated with the transaction of residential real estate. WHAT IS INCLUDED IN THE PRICE OF A HOME INSPECTION? 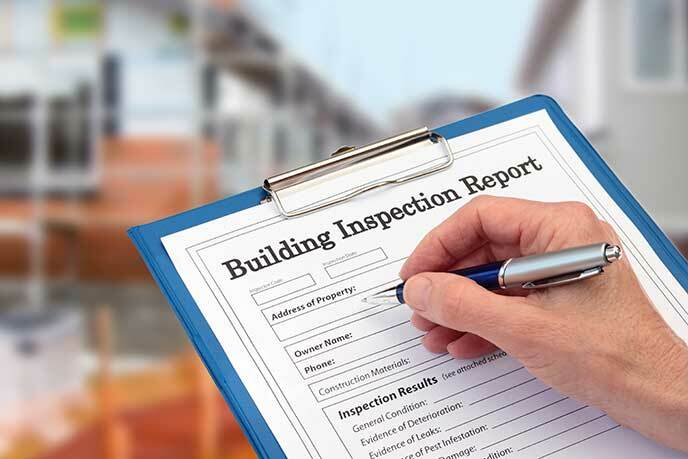 A complete home inspection includes a physical inspection of the house, and a written report documenting basic information about the property inspected and detailed information about the conditions observed at the time of the home inspection. There are a number of factors that dictate the length of the inspection. Most inspections take 2 – 4 hours. Larger homes, older homes, or homes with a significant number of deficiencies, may take longer. The purchase of a home is probably the largest single investment you will ever make. The home inspection process will help you maximize your knowledge of the home and its systems, and minimize unpleasant surprises and unforeseen expenses. If you are selling your home, a pre-listing inspection will give you an understanding of any problems or deficiencies that may exist. This will provide you the opportunity to address them before they slow down or prevent your sale. A good home inspection also addresses specific maintenance items and recommended routine repairs or replacements. Energy efficiency, indoor air quality, renovations, and upgrades are often discussed during the inspection. When the inspection is completed, you will have a clearer understanding of the property you are about to purchase. Inspection fees are dependent on a number of factors including the size of the house, its age, and the services requested. We don’t recommend you make cost the only factor when choosing a home inspector. The knowledge gained from a good home inspection is invaluable, and the lowest-priced inspector is not necessarily a bargain. The inspector’s qualifications and reputation should be strongly considered. Even the most experienced homeowner lacks the knowledge and expertise of a professional home inspector who has inspected hundreds, perhaps thousands, of homes in his or her career. An inspector is familiar with the many elements of home construction, their proper installation, and maintenance. He or she understands how the home’s systems and components are intended to function together, as well as how and why they fail. Above all, most buyers find it very difficult to remain completely objective and unemotional about the purchase of a home, and this may affect their judgment. For unbiased and accurate information, it is best to obtain an impartial third-party opinion from a licensed and qualified home inspector. No. A professional home inspection is an evaluation of the current condition of your prospective home. It is not an appraisal, which determines market value, or a municipal inspection, which verifies local code compliance. A home inspector, therefore, will not pass or fail a house, but rather describe its physical condition and indicate any deficiencies he or she finds. It is not necessary for you to be present for the inspection, but it is strongly recommended. You will be able to observe the inspector and ask questions directly, as you learn about the condition of the home, how its systems work, and how to maintain it. Information provided in the written report will be easier to understand if you participate in the evaluation with the home inspector. No house is perfect. If the inspector identifies deficiencies, it doesn’t necessarily mean you shouldn’t buy the house, only that you will have knowledge of existing issues before you close instead of afterward. A seller may adjust the purchase price or contract terms if major problems are found. If move-in condition and minimal maintenance are important factors in your purchase decision, this information will be helpful to you as well. DO NEW OR RECENTLY BUILT HOMES NEED TO BE INSPECTED? Yes. Defects in workmanship, improper use of building materials, appliance recalls, inadequate home improvements and amateur repairs are a few of the problems that are found in any age home. Do New or Recently Built Himes Need to be Inspected?